Features: 1. Constructed from 70mm x 70mm box section steel, 5mm wall thickness. 2. 300mm engagement into the ground. 3. Locked in place with the Bulldog Super Lock Bolt. 4. Ground lock tube to receive Super Lock Bolt concreted into ground next to socket. 5. 12mm thick retaining eye welded to upright. 6. Bright yellow, highly visible, powder coated finish. 7. 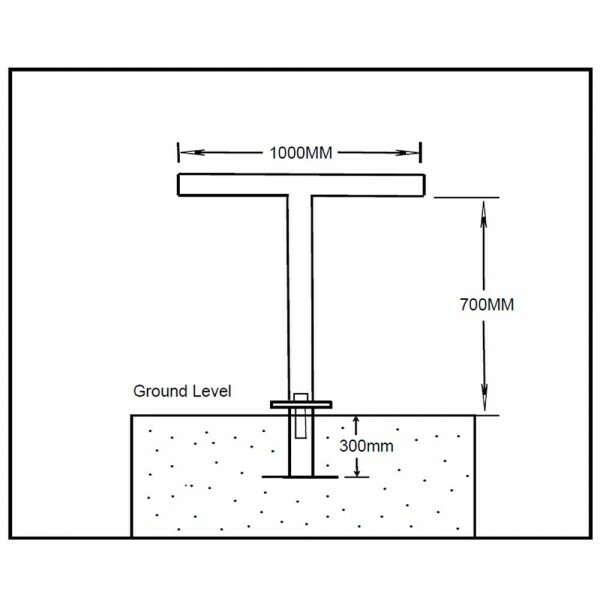 Protection plate supplied to cover ground socket opening when ‘T’ Post is removed. Bulldog TP200 Security Post. 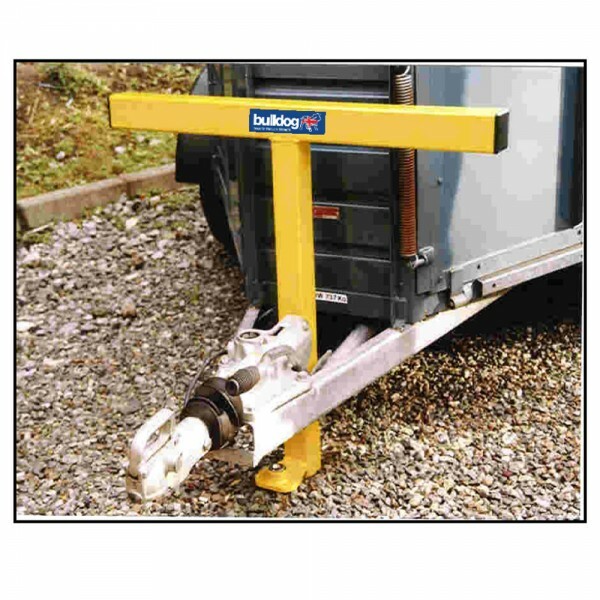 This high security Bulldog Security 'T' Post gives serious protection to Trailers and Horse Boxes. Highly visual and effective. 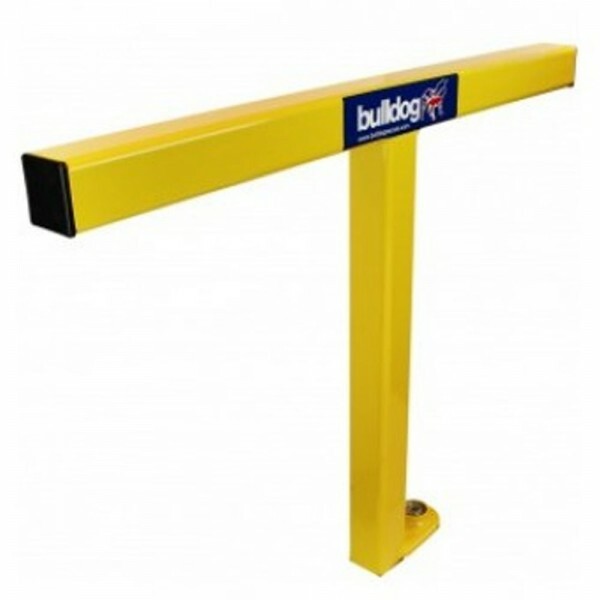 Comes complete with Bulldog's Super Lock Bolt and cover plate for when the post is not in use. British manufactured and sold with Bulldog 5 year Guarantee.